19.04.19 - 0 Your VGC account coming soon! Hello dear visitor, and welcome to my Patreon page! My name is Boris Dalstein, I am a French mathematician, computer scientist, and software engineer, but most importantly, I am an animation lover. I hold a PhD in Computer Science from UBC, and I have worked at various companies and research institutes such as Inria, Disney Research, and more recently Pixar Animation Studios. Animation is a fascinating medium where art and science complement each other, enabling creative minds to tell powerful stories that have influenced many generations, and will continue to influence generations to come. Unfortunately, creating high-quality animation is still a very time-consuming and skill-demanding process. For this reason, in October 2017, I founded a startup called "VGC Sofware", whose mission is to build the next generation of tools to make this process easier. More precisely, I am planning to release two products in July 2020, called VGC Illustration and VGC Animation, which are the successors of VPaint. VGC Illustration will be a vector graphics editor, that is, a competitor of products such as Adobe Illustrator, Autodesk Graphic, CorelDRAW, or Inkscape. The difference is that unlike these existing programs, VGC Illustration will be based on vector graphics complexes, a technology that we developed and presented at SIGGRAPH 2014. The key breakthrough behind the technology was to discover a novel way to keep track of the connectivity between all the strokes, which makes it very intuitive to edit illustrations or animations. For example, this technology allows artists to easily represent 2D shapes which are "connected" to one another, such as two countries sharing a common border. These are typically painful to create and edit using existing tools, because the common border has to be created twice and edited separately, while they are natively represented using vector graphics complexes. The video below showcases early examples of what is possible with this technology. Meanwhile, VGC Animation will be a vector-based 2D animation system, that is, a competitor of products such as Adobe Animate (formerly Adobe/Macromedia Flash), ToonBoom Harmony, CACANi, Synfig, or OpenToonz. 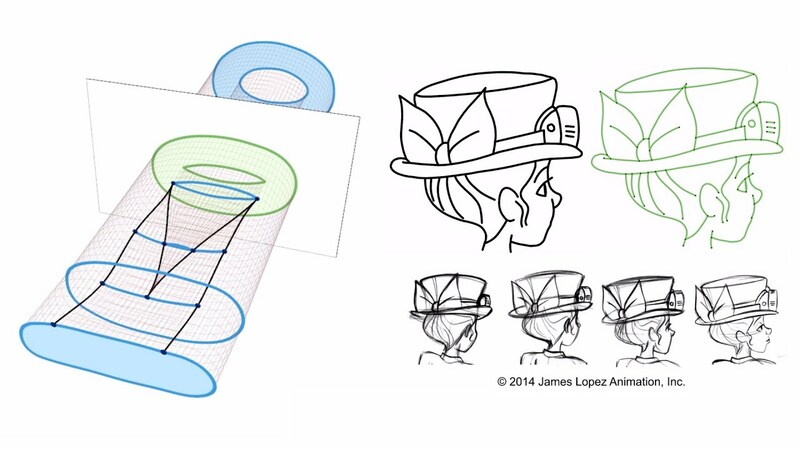 To some extent, VGC Animation will also be a competitor to raster-based 2D animation systems such as TVPaint or Krita. 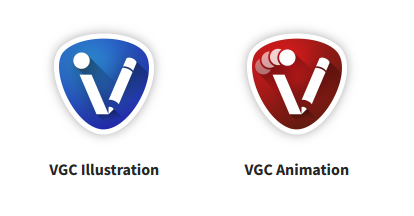 VGC Animation will be based on vector animation complexes, an extension of vector graphics complexes that supports animation. Again, what will make VGC Animation stand out compared is that its competitors is that its representation of shapes with shared boundary makes it extremely well suited for automatic inbetweening. 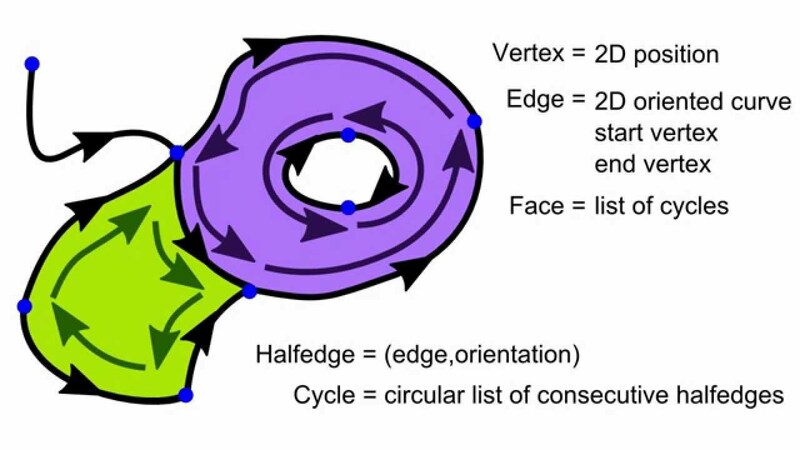 Also, it allows to represent vector animations of shapes that "split and merge" in ways that were not possible before. Below is a technical video giving some insight on this novel data structure. Starting July 2020, VGC Illustration and VGC Animation will be released yearly (example: VGC Animation 2020, VGC Animation 2021, etc. ), under a commercial open-source model. A license key for VGC Illustration 2020 will cost 39€ (tax included), while a license key for VGC Animation 2020 will cost 79€. Each license key allows a single user to use the software on any number of devices, on any number of platforms (Windows, MacOS X, and Linux). License keys are perpetual, that is, they never expire. This means that you will still be able to use VGC Illustration 2020 five years later without paying any extra fee. However, you will need to pay for an upgrade if you want to use newer versions. The cost of the upgrade from one year to the next will be $19€ for VGC Illustration, and 39€ for VGC Animation. Despite being distributed commercially, both apps will in fact be open-source and publicly developed on GitHub under the Apache 2.0 license. Also, no license key will be required to use the software on Linux, that is, the software will be completely free of charge for Linux users. This is my way to say thank you and give back the open-source community (my work relies heavily on open-source software), and also a way to encourage more users to try Linux. Do you find this project promising, and wonder how you could help? Well, you've come to the right place! The most helpful way is to support me financially right here, on Tipeee — or on Patreon if you prefer paying in US dollars. Indeed, I am working full-time on this project, so financial support from curious minds like yours (I know you are, if you've read that far!) is currently my only source of revenue. How does it work? You simply choose a monthly amount to give, starting at 1€ per month, and in exchange for your generosity, you get exclusive rewards based on how much you give! For 1€ per month, you get access to alpha/beta versions of the software, so you can try it out early on! (the first alpha version is planned for October/November 2018). Also, you get access to private text progress reports, and if you wish, your name will appear in the "Help > Sponsors" dialog within the apps. For 3€ per month, you also get a perpetual license key of the first stable version of both VGC Illustration and VGC Animation! Of course, you can stop your monthly donations at any time, your license keys stay valid. This is a great deal compared to what you would pay in 2020 for them! For example, let us suppose that you stay a sponsor for a 1-year period, you would pay 12 x 3€ = 36€, instead of 118€. By giving more, you can also get software updates for up to 10 years! I let you look on the rewards section for more detail.